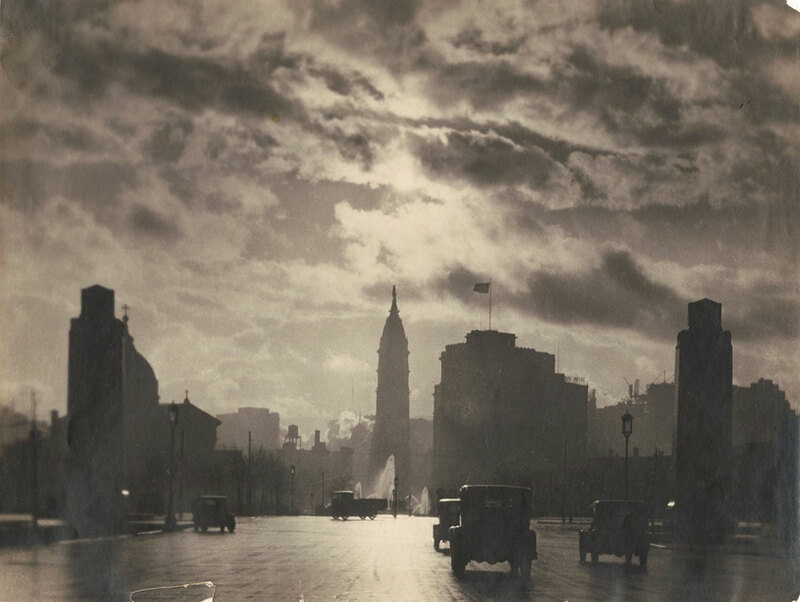 This is a lovely, atmospheric photograph of automobiles driving on the Benjamin Franklin Parkway, ca. 1930. Flanked by the pair of Civil War Soldiers' and Sailors' Monuments, the cars make their way towards the Swann Memorial Fountain and City Hall in the distance.